Ingredients: Aqua (Water), Ethyl Linoleate, Propanediol, Glycerin, Cetearyl Isononanoate, Bisabolol, Retinol, Hydroxypinacolone Retinoate, Tasmannia Lanceolata Fruit/Leaf Extract, Dimethyl Isosorbide, Inulin Lauryl Carbamate, Glyceryl Stearate, Ceteareth-12, Ceteareth-20, Cetearyl Alcohol, Carrageenan, Acacia Senegal Gum, Caprylic/Capric Triglyceride, Cetyl Palmitate, Sucrose Laurate, Polysorbate 20, Behentrimonium Chloride, Disodium EDTA, Dehydroacetic Acid, Benzoic Acid, Ethylhexylglycerin, Phenoxyethanol, Chlorphenesin. 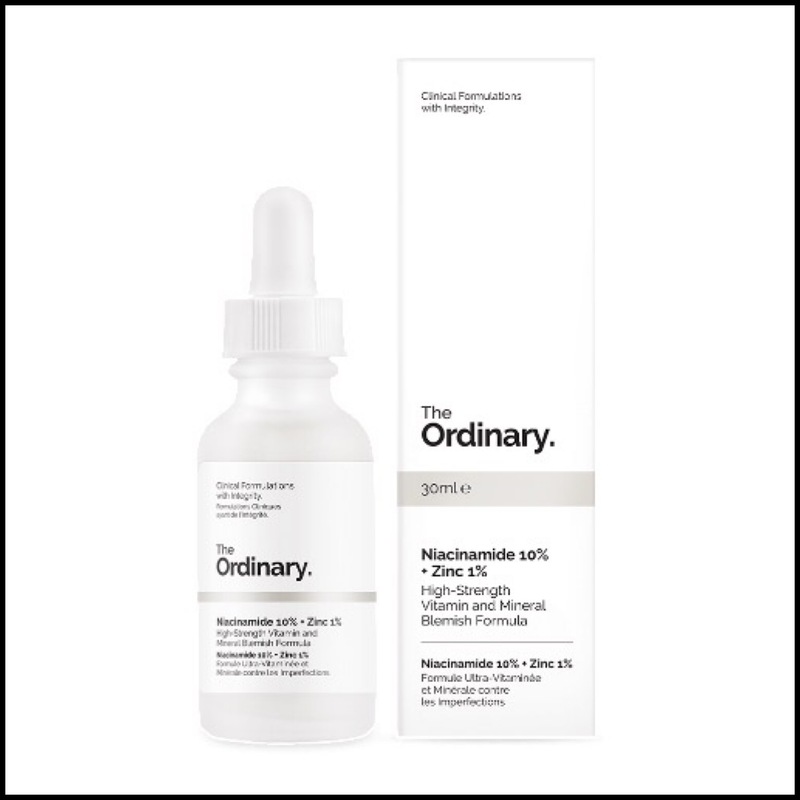 When The Ordinary launched this was the product I was the most excited about, as I had been desperately hoping Deciem would release some sort of retinoid product ever since I discovered the magic of CAIS (review here). I had a feeling it was something they would do very well and I was not wrong. Retinoids/Retinols are so important when it comes to skin health and do everything from reducing wrinkles, correcting pigmentation irregularities and fighting some forms of acne, as well as increasing cell turnover, blood flow to the skin and collagen production. What this means is that when it comes to anti-aging skincare, this is one of the very best ingredients you can use because it prevents and reverses the signs of aging like nothing else. I have used quite a few retin (retinoid, retinols, vitamin A) based products over the years and this is without a doubt the best one for many reasons. This serum contains solubilized Hydroxypinacolone Retinoate and an encapsulated retinol for a combined 2% weight concentration, which is highly advanced and effective and should cause less irritation than other products like this. It also contains Tasmanian Pepperberry Extract (seen in the Lactic Acid serum and the new Hylamide Hydra-Density Mist) to help reduce inflammation and redness, but also for it’s antimicrobial and antioxidant properties. Despite the name of the brand and the price of the product, this is a highly sophisticated formulation that is easy to use and works well with other products. As soon as my package arrived from Victoria Health I had to go and wash my face right away so I could get this on. Yep, I was that excited. What immediately struck me about this serum is the texture. It has a beautiful, light, milky consistency that feels cool and watery on the skin and absorbs perfectly, due to the fact that it’s a water based emulsion. It has a faint somewhat chemical scent because it’s fragrance free and I actually don’t mind it at all, as it smells like every other retin product I’ve used (except Luna). I initially thought I would use this once a week, but that quickly changed after seeing how well my skin responded to it. There was absolutely no irritation of any kind (redness, dryness, flaky skin, sensitivity) and because of the formula it left my skin immediately plump, hydrated and glowing, which I had never experienced before with this type of product. I now use it every other day and it’s actually so gentle that you could use it daily, which I did for a week and again, there was no irritation, only happy skin. So, even though I use this on alternate nights, where it sits in my routine depends on what else I’m using. If I include CAIS then the lineup would be: double cleanse, SDSM, CAIS, wait one minute, this product, wait 5 minutes, sometimes a toner but not always, then usually Buffet or any other serum but again not always, followed by an oil, balm or moisturizer (oh, and please don’t skip sunscreen when using this). If I’m not using CAIS then I apply this directly after cleansing on to clean skin before continuing with my routine. It has worked perfectly with every product I have used after it, which is so important to me because I hate it when the layers start to pill or roll. I generally prefer to keep it simple when using this product as it does so much on it’s own and if you’ve read my post about “two step routines” (here), then you’ll know I have even used it as my only product some nights. I use about 2/3’s of a pipette full, which is definitely way more than needed, but I am addicted to the plump, glowing effect it gives and my skin just drinks it up. This would work well on all skin types, but especially those with mature, dry or sensitive skin because it’s so effective without being irritating. Those with acne prone skin would also greatly benefit from using this, but be warned, there may be some purging in the initial weeks. I know many of you use or are familiar with Sunday Riley’s Luna, and this uses the same form of retinoid as that. I used Luna for over two months back when it first launched and it didn’t do much of anything for my skin. With this on the other hand (and for a fraction of the cost) I have seen a steady improvement in skin tone, clarity and smoothness, just like with the Verso serum (which is 10x more expensive) that I was using before this arrived. Thanks to The Ordinary I now have the very best retinoid product available at an insanely fair price and I can’t recommend it enough. Ingredients: Aqua (Water), Niacinamide, Zinc PCA, Tamarindus Indica Seed Gum, Pentylene Glycol, Carrageenan, Acacia Senegal Gum, Xanthan Gum, PPG-26-Buteth-26, PEG-40 Hydrogenated Castor Oil, Ethoxydiglycol, Phenoxyethanol, Chlorphenesin. I have been a long time fan of both niacinamide and zinc and was so happy to see both ingredients in the same product. Even though this is described as a “blemish formula”, it is actually one of my favourite serums for dealing with hyperpigmentation. Niacinamide (Vitamin B3) works to suppress melanin (pigment that gives skin, hair and eyes colours) from reaching the skin’s surface and can also protect the skin against the UV damage that stimulates freckles, brown spots and skin discoloration. It also tackles fine lines and wrinkles, sallow tone, blotchiness, elasticity and of course, the dreaded hyperpigmentation. It is an anti-inflammatory and antioxidant, which means along with the zinc, it works very well to heal blemishes. Zinc (as seen in La Roche Posay’s now cult Serozinc) is amazing for healing the skin, reducing excess oil production and clearing acne. It is also an important ingredient for our overall health and I take it as a supplement. This is very different to the Retinoid serum because it has a slightly cloudy, fluid gel texture that is a little sticky, but not at all tacky and spreads and absorbs quickly and easily. It’s a basic formula that has a mild, nondescript scent that doesn’t linger or irritate. Less is definitely more with this and I take just a drop or two (slightly less if I’m using it with AA + HA) and apply it after toning and before my “end” steps (moisturizer, oil or balm). It layers really well with everything I use before and after it and leaves a touch dry, comfortable finish. I pretty much only use it in the mornings now as I have other nighttime products that are very active and I don’t like to overload my skin. In a routine the order would be cleanse, tone (or SDSM and CAIS then tone), watery serum, this, other gel or oil serums, then end products like suncreen, moisturizer, oil or balm. Using this during the day is just a personal preference, but I think those with acne prone skin could really benefit from using this after the Retinoid serum to help create balance and counteract any purging. This is something that should work well for every skin type, but those with hyperpigmentation and/or acne would benefit the most. It works so well to create balance, increase clarity and improve tone and texture. I do know that niacinamide doesn’t work for everyone and a few people have experienced breakouts, either because they’re allergic to it or the “raw” formula/high percent has been too much for their skin, but for me it’s been excellent. This can be used daily, morning and night and how often you use it depends on what your skin needs. 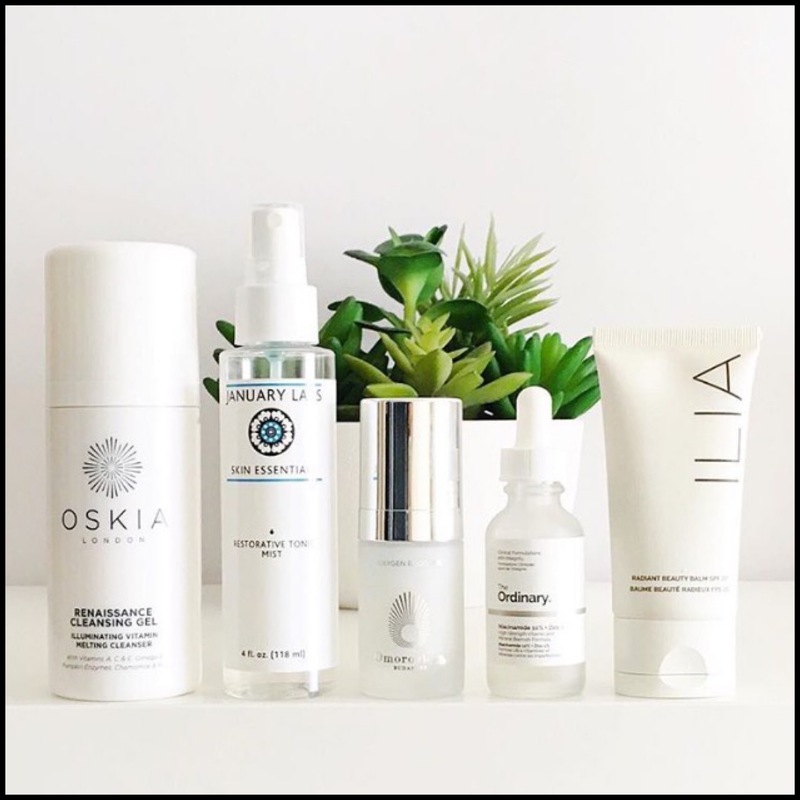 One of the reasons I was so excited about this is because I saw such fast results with Oskia’s Renaissance Brightlight Serum and that has only 5% niacinamide. Even though that product is packed full of skin loving ingredients like MSM, peptides, prebiotics and fruit enzymes, the niacinamide (plus natural Arbutin and zinc) is what I believe made all the difference, which is why I’m seeing the same results with this. It leaves my skin balanced, soft, bright and even and mixed with the Alpha Arbutin 2% + HA has proved to be a decent dupe. While I don’t need to repurchase the Verso serum, I would still consider getting Renaissance Brightlight again because it’s a great product and one of the few actually worth the price. For now I am happy with this, but I will do a niacinamide roundup soon because it’s in a few products I love like Amy‘s brilliant Clarifying Glow Serum (review soon), and I believe the only other 10% one out there is from Paula’s Choice, which is almost 8x the price for 1/3 less. Alpha Arbutin is a popular skin brightening ingredient used extensively in Asian beauty products (see here), but for some reason it has been very much underrated in western beauty until now. It is such a great ingredient for hyperpigmentation because it actually prevents melanin from forming in the first place and can also reverse the level of skin darkening after too much fun in the sun. It’s probably one of the best ingredients you can get for dealing with sun spots, dark marks and post-inflammatory hyperpigmentation because it’s so potent yet very gentle. It’s a slow release active that has been combined with a next generation hyaluronic acid making it perfect for all skin types, but especially those with sensitive skin. The texture of this is very similar to N+Z, although this is a completely clear gel that is slightly thicker and a tad more stickier, yet not at all tacky and still absorbs just as well. It has that same dry to the touch finish and my skin doesn’t feel coated, which is why I love how lightweight these serums are. It again, layers perfectly with everything I use before and after it and I only need a drop or two because it spreads very well. As I said, I love mixing this with N+Z to create a “basic” version of my beloved Oskia serum and the funny thing is that this mix actually has a better consistency and absorbency than the Oskia, which is quite tacky and doesn’t always layer well if you don’t apply it “correctly” (review here). I also love this as my daytime serum to protect my skin against any sun damage and I think it serves as a great “booster” to my sunscreen. In a routine this would go after cleansing and toning and before heavier serums and your end step. It can be used every day, morning and night and would actually be really nice to use along side the Retinoid at night for an even more potent brightening duo. Again, this serum would work very well with all skin types, but those who suffer from uneven skintone, hyperpigmentation or are trying to undo any sun damage from this summer would benefit greatly from using it. If you find that N+Z isn’t right for you or you know you’re allergic to niacinamide, then give this a go because they provide the same type of results. One of the things I have loved the most about the launch of The Ordinary is the fair and honest price point. There’s no getting around it – never before have serums this potent been sold at this price and it has been a revelation. I have always reserved the bulk of my “skincare funds” for serums because for me, results will always trump luxury but now I can have both. 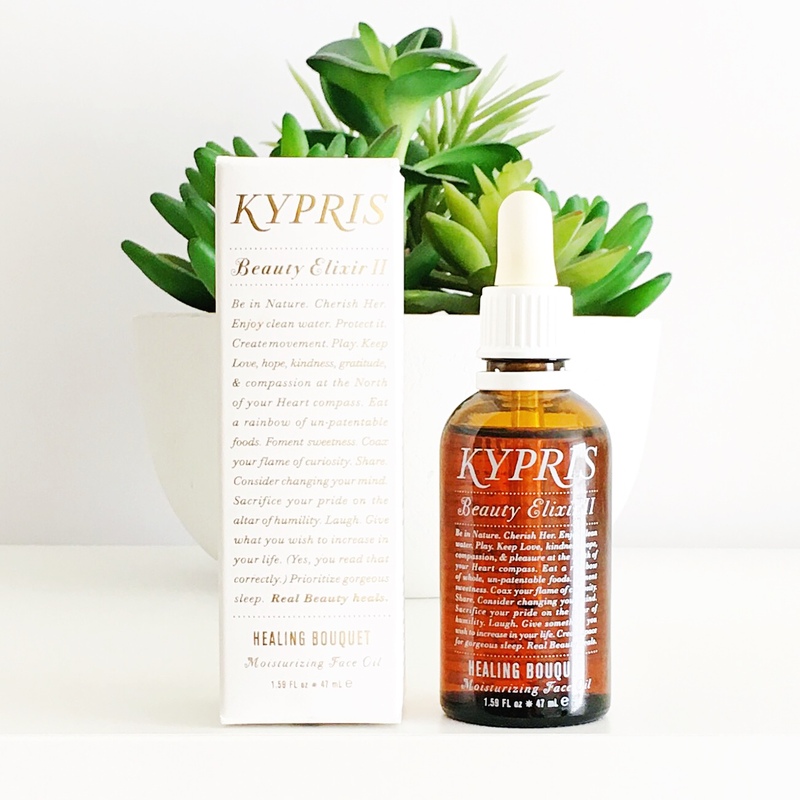 Part of the reason I wanted to review these three products together is so I could also show you what I did with the money I “saved” from not having to repurchase the Verso and OSKIA serums, so please allow me to introduce you to the beautiful Kypris Beauty Elixir II: Healing Bouquet! The combined price of the Verso and Oskia serums is an eye watering £180/$225, so to celebrate the extra money I had just lying around I decided to treat myself! I have been coveting this gorgeous oil for well over a year, but could never bring myself to purchase it because I felt my money was best spent on results driven serums. I felt comfortable splurging on this oil because I can now get high performing serums at a highly affordable prices, which I couldn’t do before. We no longer have to choose between luxurious products or ones that provide the best results and we don’t have to pay a premium price for the not so premium ingredients that deliver those results. That’s what’s so incredible about The Ordinary – we can now have it all. Disclaimer: This is not an ad or sponsored and no affiliate links have been used. These products were sent to me with no obligation to review and all opinions are my own. Thank you so much for this review! I would only add that you shouldn’t use vitamin C with the Niacinamide. I didn’t realize this for a few days until I did a review of The Ordinary list on how to use the products. Oops. How do you incorporate vitamin c into your routine? Also, do you think it is ok to use the SubQ serum from them after the Niacinamide and Alph Arbutin? Thank you! That is very helpful. I feel like I have a lot of different products that I am trying o fit into my routine, so maybe Vitamin C will take a back seat for now. I have been using the Philosophy Tubo Booster Cpowder. I have had much better results with the Alpha Arbutin. I have read that there is conflicting evidence to suggest that they actually benefit from each other, so, it is very confusing! Do you find the results of the Advanced Retinoid better than the Verso serum? And in what way? Loved the review! I have similar issues with Vitamin C. I tried using the Paula’s Choice serum ( 15% ascorbic acid one) for about 2 months, but my skin never full agreed with it. I suspect I might also be sensitive to Tetrahexyldecyl Ascorbate, as products that I use which have it… I am really paying close attention to, and I think it too may not fully agree with my skin. 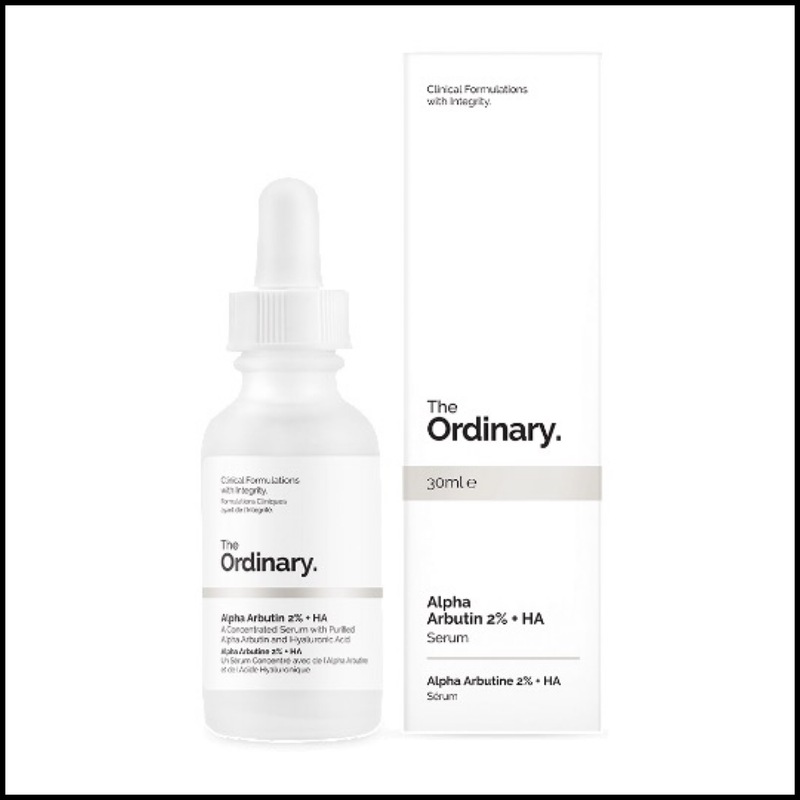 I have to say, I’ve had much better results with the Ordinary Alpha Arbutin than any Vit C or brightening product I’ve used before. I regret not having purchased more than one in the first place and not ordering a replacement sooner!! But fortunately, I received x2 today from Victoria Health 😀 and Deciem now ships The Ordinary internationally (thank goodness). I can’t wait to incorporate it back into my routine. I’ve been hesitant to try the Niacinamide 10% + Zinc 1% because of reading mixed reviews, but after reading your experience with it, I think I will try it. thank you for the wonderful review and recommendation! i love love love the ratinoid! as you know have almost all the Ordinary products, but for some reason i do have a problem with this : Buffet, Alpha Arbutin, niacinamid, metrixil, I love them, but can not layer them at al the peel, because they are too sticky, maybe I am using them wrong, may to much, I do not know… what so you think? thanks for your very informative post. I will be trying one of these serums, I just can decide which ones. I’m sure I want to try the Advanced retinoid, but I also want to get something else to make the shipping costs worth it. I don’t always comment but I find your blog a great and trustworthy source of information. Thank you! Hi Arly! LOVE your reviews and pictures! 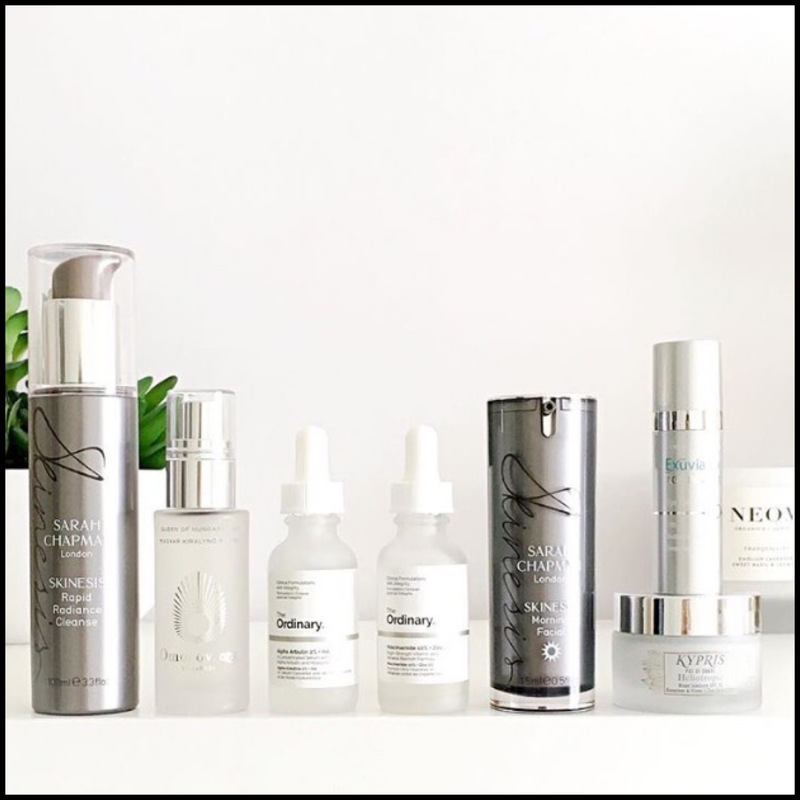 Here is my question: I have been using the NIOD line (SDSM, CAIS, MMHC and NAAP) and I am wondering how The Ordinary compares to them? Would you consider them a replacement and if so, which would you use in place of CAIS, MMHC &NAAP? I was thinking of getting the retinoid, lactic acid, n+z and the Alpha Arbutus instead of the other 3… what are you thoughts? Thank you!! I just got my order from The Ordinary and I have 4 the Alpha Arbutin, Hylauronic, niaciamide and lactic acid 5%. I’m not really sure where to incorporate the serum into my routine. I do have dry and acne prone skin type. What do you suggest I do? Thank you so much!!! I just so want to try them, so I think I will order a few and include them with CAIS to my regimen and see how they do compared to NIOD ( which I also absolutely love!) Thanks again Arly! Good reviewe arly. Ive been using AA and N+Z. They are good asnd impressed me alot. I will try the retiniod and lactic in future. 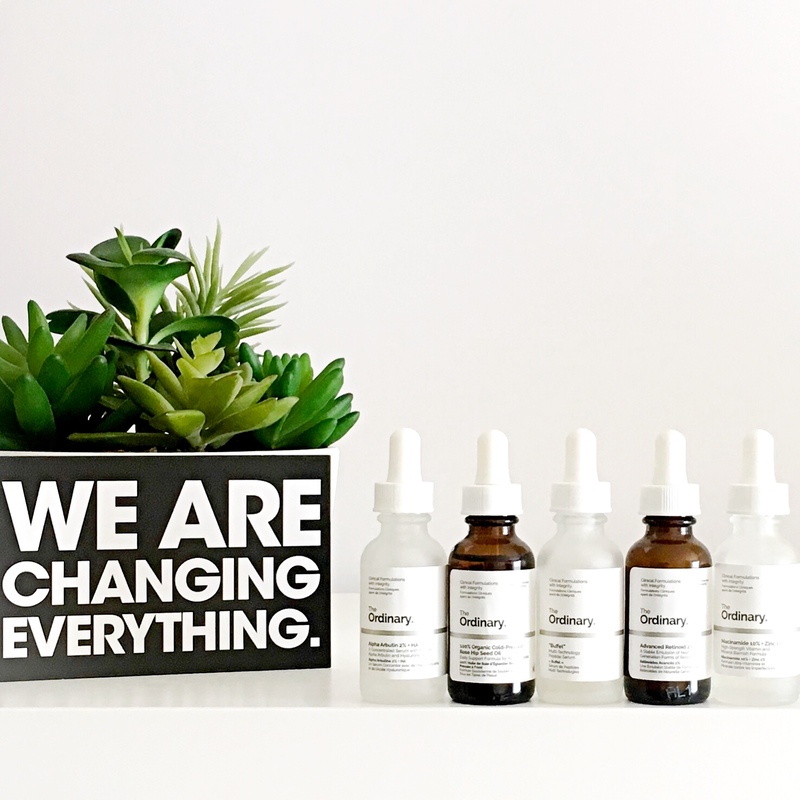 I found your blog when looking for more info on The Ordinary products, and your review and description of the serums have been super helpful, thank you!! I also suffer of hyper pigmentation and have been struggling with hormonal acne for the last year. Acne is getting better (i’m on topical antibiotics), but the acne brown marks and general pigmentation is my main concern for now. I’ve had a look at your recommendations: N+Z and AA+HA, but wondered what you’d say about Azelaic Acid Suspension to help fade dark spots? I have combination skin, tending to be more on the dry side over winter months, and the occasional dehydration. I was google’ing The Ordinary products when I came across your lovely, well written blog 🙂 A pleasure to read. I am 30 years old (ageing I suppose!) and suffer with acne scaring. My skin is also dehydrated and dry. What products and regime would you recommend from The Ordinary. I recently ordered products from The Ordinary. I’ve been using it for 3-4 days now. AM-Niacinamide and ZInc and 100% Cold pressed rosehip seed oil. Pm- Ascorbyl tetraisopalmitate solution 20% in vitamin and 100% Cold pressed rosehip seed oil. IT BREAKS MY HEART to say that my skin looks even more dull now. Hi Samantha! So sorry to hear your skin isn’t looking great. Is is still that way? It could be that the Vit C is too much for your skin. Have you switched up your routine since you wrote this and is it better? LOVE your in depth reviews on the products. I’m still in shock that there is affordable skincare products. I made an order yesterday. I got the Alpha Arbutin 2% + HA and the Niacinamide 10% + Zinc also and will be following your morning routine suggestion of using the AA before the NZ. It says on the website that water degrades the effectiveness of AA – does this mean I can no longer use a hydrating mist in my routine? Do you think I can add a mist before my oil as opposed to before serums (which is what I would usually do)? Wow! This is such a good post! But I do have to tell; I am confused. I want to purchase a few of the products, but I’m not sure what to get and when to use it. I have acne prone skin, combo, with a few scars/pigmentation. Do you have any tips for what to get (and when to use it in the routine, lol)? So it is okay to mix the AA and N&Z? So sorry for the late reply, I’ve had a death in the family so haven’t been on the blog these past couple of weeks. Yes, it’s ok to mix AA and NZ – the combo might be a bit drying so use them together when your skin needs a boost to stop any oiliness or break outs. I really enjoyed reading your review of The Ordinary. I’m 58yrs of age and I’ve always spent a fortune on make up, but I’ve only ever cleansed (washed) and applied moisturiser. I never quite understood the importance of looking after your skin as I always thought it was down to luck and genes……..a little late in the day now maybe. Anyway, I heard about TO and I’ve purchased the following but I haven’t got a clue how and when to use them, so any advice would be much appreciated. I’m double cleansing with a damp face flannel and cleanser, a la Caroline Hiron (all hail to the Queen). My ordinary order was just shipped. I wondered what type of moisturizer I should incorporate into my routine. I did not anything that doesn’t react well with the products I purchased, six different products altogether. 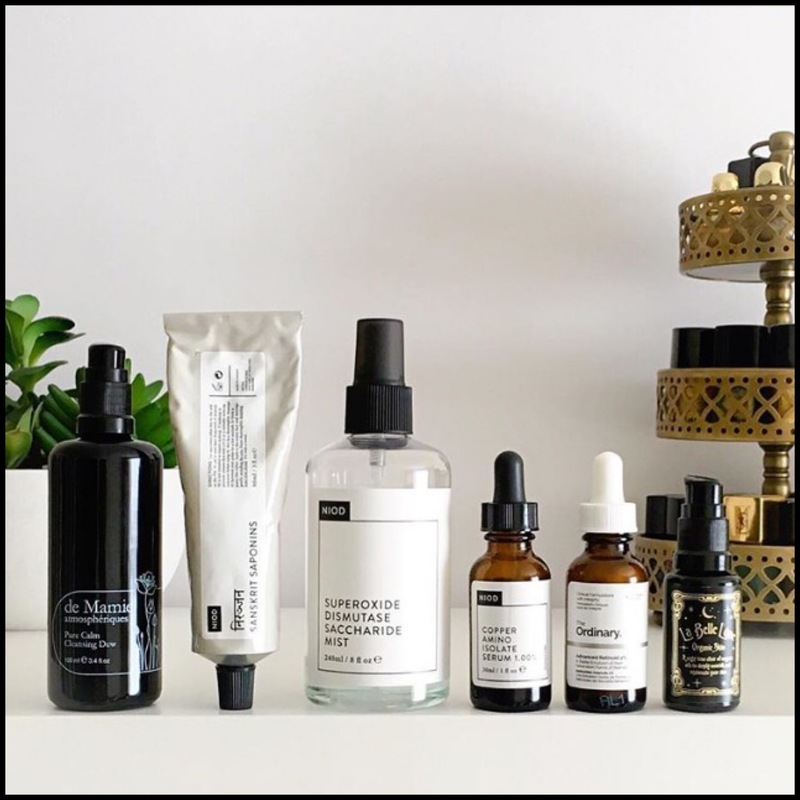 I was searching for reviews on The Ordinary line and discovered your blog–this post has inspired me to be better informed about my skincare (and helped me narrow my purchases :)! Thanks for this thorough and comprehensive review! how did you use all the ordinary serum product?, did u use in one time , or u use in different situation? Thank you so much for this review and the Part 1 as well. I am keen to get into The Ordinary products, and am just beginning to rotate them into my regime. Up to now, I’ve been using Paula’s Choice for everything, and have been happy except for the cost! 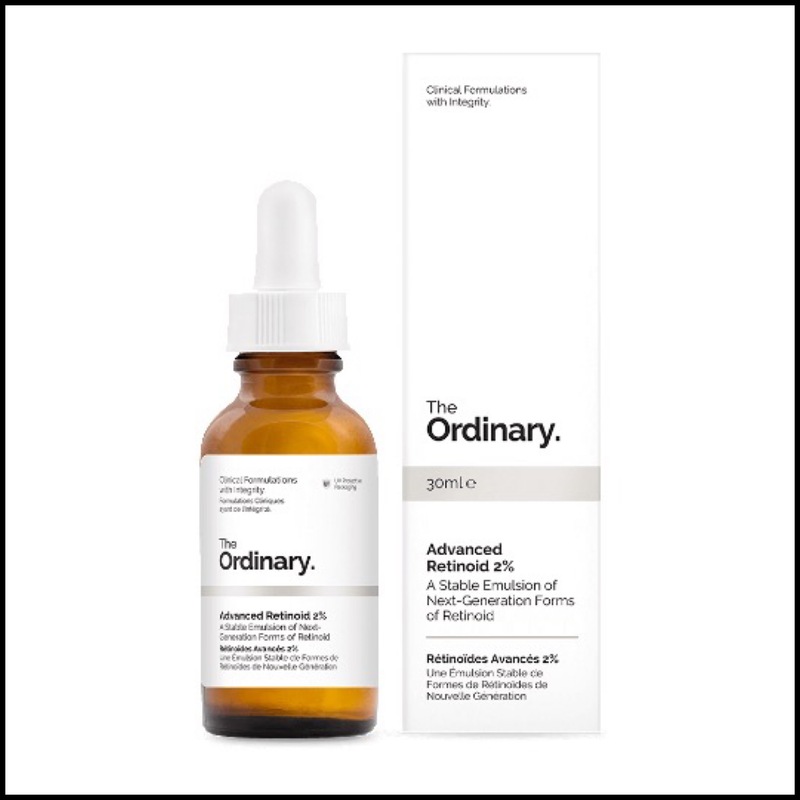 One criticism of The Ordinary I read on Beautypedia.com (which is associated with Paula’s Choice, as far as I’m aware) is that the products are ‘one note’ and don’t replace a comprehensive antioxidant serum. Do you have any view on this? I had been thinking to switch my regime over to the one recommended by The Ordinary for ‘general signs of age’: AM: Buffet, Hyaluronic Acid 2% + B5; PM: Buffet, Advanced Retinoid 2%, 100% Organic Cold-Pressed Rose Hip Seed Oil. I’d of course add in my own cleanser and SPF. But do I also need an antioxidant serum to round things out? Any advice is appreciated, I’m still trying to get my head around this line of products. Your review is one of many great reviews on the ordinary skin products! I would really like to try them as my skin has become quite acne prone over the past few months. I’ve only been a 2 product kinda user (cleanser/moisturizer) and have no idea where to start!! What products from the ordinary skin would you recommend to a new user who is desperately trying to calm her acne??? hi, i am 24, olive skin. i have combination skin, oily at the T zone but very dry cheeks. almost like dry skin flaking off. i recently saw a dermetologist who told me i have lots of large pores, whiteheads and blackheads, mainly on my nose, cheeks and chin. i also have a lot of red skin underneath. i think this is the start of rosacea. i can see broken red veins on my nose and my cheeks are starting to break out. they almost look like spots/acne scars. i have never had acne in my life but am starting to see an increase in spots, mainly whiteheads or pink bumpy skin. i am looking for something to tackle the rosacea/red skin, the oily parts and also something to even out the bumpy texture on my face. also something brighten/rejuvenate my skin please. thank you. PM: cleanse, tone, rose hip oil, moisturise. I also exfoliate 2 x weekly. I am interested in purchasing the Niacinamide, AA+HA and the Retinoid 2%. How do you suggest I incorporate these into my routine? Hi Gemma! So happy you liked the review. You would use the Retinoid 2% at night and then the N+Z day and/or night and the AA+HA in the mornings. Good luck! Hello, i am Fara, almost 24 y.o. I’ve been looking up to The Ordinary products since i wanna try to use a serum and add it to my skincare routine. I’m kinda late to concern about my skin since i havent had any kind of skin problems before. But for the last one & a half year, suddenly i’m having this acne-prone-skin condition. Until the end of 2015, I was rarely have some acnes/pimples. At least, there were (max) 3 pimples when i got my period. I was having a kinda light asian skin. So when i first had this breakout, people around me was like amazed by “my change”, even until now. Sorry for the rambling, now i’m gonna straight to the point. But still, i need some advices since i’m a bit clue-less about skincare. Right now, my kinda hormonal acnes are reducing alot. But, it turns out i’m having this pore (clogged pores) & comedones problem. I am now having this bumpy skin, my face is almost full of whiteheads & blackheads. Hyperpigmentation here & there. Combination-to-oily skin. Kinda sensitive. It’s too much, right? Lol. I scrub my face (with the body shop squeaky clean tea tree) 2-3 times a week. Use a wash-off mask which made from oats, honey and some natural ingredients almost 2-5 times a week. And have a facial at a beauty clinic monthly. I have read SO much about ‘The Ordinary’ but alas will will continue to use rubber droppers and for someone who is allergic to rubber and latex, we are cruelly shut of this product, we have to go and spend alot more money to get products that do not have droppers. I wish the beauty industry would recognise this, as millions of people, not just me suffer with this annoying and sometimes life threatning allergy. I am so sorry you have an allergy to the rubber droppers! That’s such a shame. 😦 They are supposed to be releasing pumps, so maybe contact them and ask when they will arrive. I had no idea this was such an issue and I agree with you that the industry needs to do more to recognize and accommodate the allergy. I’m a 23yo female who is actually quite fortunate to have no skin problems besides for a few sunspots here and there. My pores are pretty invisible, and I get the occasional pimple every few weeks, but other than that, I have no complaints. What I do want is something to brighten up my face or even out some mild discoloration. I normally use a thin layer of BB cream for this, but I’m really looking forward to trying TheOrdinary products for what I need! If you could recommend 1 or 2 products, what would you think is best? Thank you so much, your reviews are amazing! Hi Jenny! Check out my other posts on The Ordinary, because I have one that recommends products for every skin type. There are a lot of good options under the “Dull/Uneven/Pigmented” category that you can choose from, but I also highly recommend Re:Pigment from NIOD. It is brilliant for sunspots etc, so check that one out too.